Food is produced not only to be consumed in the country of its origin, but also to be exported to various locations worldwide. As such, manufacturers and suppliers need to know the market conditions and regulations of their customers in export markets. 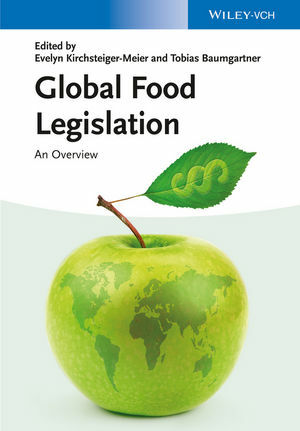 Filling a distinct need in the globalized food economy, this introductory reference distils the key facts and regulations from the food laws of 10 countries and the European Union across four continents. The result is a truly global survey of the world's most important food markets in terms of regulatory standards, principles and the authorities involved. To enable comparison between each country portrait, each chapter is structured in the same way, and includes information on the legal framework, the competent authorities, explanations of the basic principles of food law, introductions to the main areas of regulation (particularly, labeling and advertising; food hygiene and safety; additives and flavorings; food supplements; genetically modified organisms; import and export regulations), accountability regulations, and information on Internet resources. The publication therefore provides key facts for food producers active on the international market, who often lack the time and resources to refer to the primary laws and legal commentaries. Evelyn Kirchsteiger-Meier is a senior lecturer and Head of the Centre for Quality Management (QM) and Food Law at the Zurich University of Applied Sciences (ZHAW). She holds a Master`s degree in biology and chemistry from the University of Basel, Switzerland. Before joining the ZHAW, she gained extensive experience in industry by working for Nestlé, the Swiss-based multinational food and beverage company, for 11 years, as QM/food safety manager. Since 2008, she has lectured in food law, food safety and quality management at both Bachelor and Master levels, and has taught numerous adult eduction programs. She also leads several projects in the field of food law and food safety in collaboration with external partners and institutions. Furthermore, she organizes and chairs an annual conference in food law, which has gained a prominent position within the food industry and the competent authorities in Switzerland, and regularly publishes on the subject of food law. Dr. Tobias Baumgartner, LL.M. (Eur.) is vice director of the Europe Institute at the University of Zurich (EIZ). He studied law at the Universities of Frankfurt and Mainz, obtained a Master?s degree (LL.M.) in European and International Law from the University of Bremen and a Doctoral degree (Dr. iur.) from the University of Zurich. He gained work/research experience in Hamburg, Hong Kong and New York. His fields of expertise cover the areas EU constitutional law, EU business law, IP law and food law. In his position at the EIZ, he advised the Federal Office of Public Health in the area of EU food law. Furthermore, he is a lecturer in an advanced study program on Swiss and EU food law, which he has established in cooperation with Evelyn Kirchsteiger-Meier from the Zurich University of Applied Sciences (ZHAW).